Enjoying Paris from a barge floating on the Seine, sound nice? Yep, you don’t have to go to Venice for that to happen! The French capital has unique barges that can hold their own against those of its Italian counterpart. There are various activities to do, which we walk you through below. 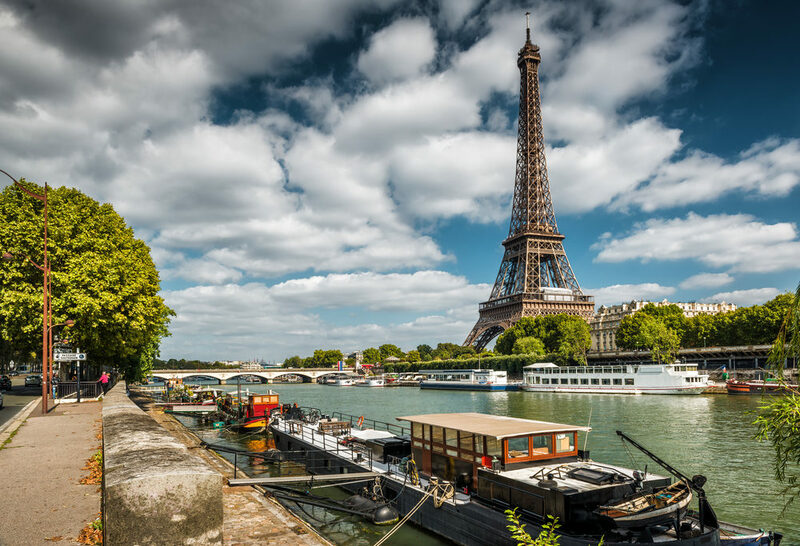 Many barges welcome you to a good meal on the waves, in front of majestic Parisian monuments. Among them, La Démesure sur Seine, a restaurant and cocktail bar located in the 12th arrondissement, and Les Maquereaux, which treats you to fresh fish near Île Saint-Louis. This type of meal is particularly suitable for gala dinners or to celebrate a birthday. As the sun sets, what better place than a boat to contemplate the nightfall? The Batofar, in the 13th arrondissement, is the ideal after-work barge for a drink. Relax watching the night fall on the French capital, sat on a sun lounger on the deck. Another option: the Rosa Bonheur sur Seine barge welcomes you for your aperitifs with friends, it’s ideally located between the Place de la Concorde and the Invalides. The reputation of the Concorde-Atlantique boat is well established. This large barge has become a hot spot for all kinds of party people. It can take pride in having hosted various all-the-rage DJs who get all three floors of the boat dancing to the rhythm. So if you want to discover a Parisian night that’s a little offbeat, look no further. The cinema-barge welcomes film buffs for film screenings, and organizes workshops and cultural events. There’s also a restaurant on the barge for if you’re feeling peckish. The cinema-barge is moored in the 19th arrondissement. The Petit Bain is a barge that’s also worth mentioning: as a showroom, restaurant and concert hall, you’ll surely find a reason to go and have a peek. It’s in front of the French National Library (Bibliothèque nationale de France, BnF). A barge ride through the French capital is a unique experience. At Aloha, our agents help you make your Parisian trip unforgettable!